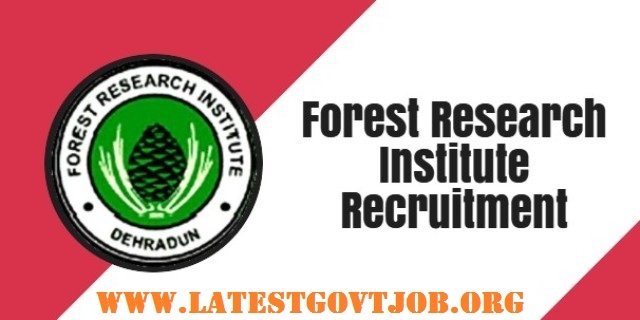 FRI Recruitment 2018 For Lower Division Clerk, Technician & More Vacancy | Apply Online @recruitment.fri.res.in : Forest Research Institute (FRI) has released a notification for the recruitment of 97 Lower Division Clerks, Technicians and more. Interested candidates may check the vacancy details and apply online from 01-04-2018 to 21-04-2018. General/UR/OBC candidates have to pay Rs. 300 and SC/ST/PH/Women candidates have to pay Rs. 100 through online mode using Net-banking/Credit or Debit Card. Interested and eligible candidates may apply online through FRI website - https://recruitment.fri.res.in/ - from 01-04-2018 to 21-04-2018.